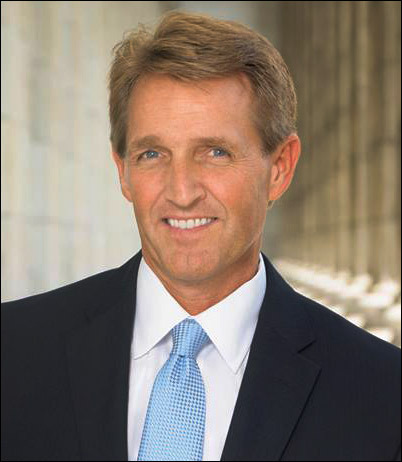 Aug. 28, 2017 — A new poll was released late last week showing Arizona Sen. Jeff Flake (R) in very poor re-election position, but the polling methodology yields serious flaws. An earlier poll with greater reliability also shows him trending badly, but brandishing upside-down favorability indexes for political subjects is a seemingly routine occurrence for the second pollster. The Highground Public Affairs consulting firm surveyed the Arizona electorate (Aug. 18-19; 400 registered Arizona voters; 273 self-identified Republicans) and found Sen. Flake to be trailing in both the primary and general elections. Against former state Sen. Kelli Ward (R), who held Sen. John McCain to a 51-40 percent Republican primary win in 2016, Sen. Flake is down by a wide margin, 42-28 percent. It is here, however, where the Highground data reveals serious problems. With a statewide sample of only 273 respondents, it is statistically too small to draw any sound reliable conclusions. And, projecting an incumbent Senator with only 28 percent support among poll responders from his own party certainly brings the result into question. While Flake has also fared poorly in other earlier primary polls, this is the first one where he trails Ward by a significant margin. Because the sample size is a major cause for concern, the larger 14-point support gap between Ward and Flake should be questioned but still must be viewed as at least somewhat relevant. Is Flake trailing by a large double-digit margin? It’s hard to argue such solely based upon this poll. Is it reasonable to believe that the senator is behind, however? That answer is yes. 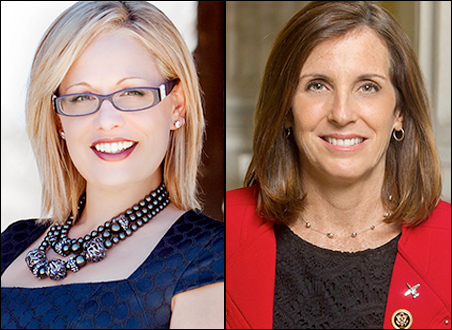 For the general election, Highground pairs Sen. Flake only with Rep. Kyrsten Sinema (D-Phoenix). After originally saying she would seek re-election to the House, the congresswoman is now admitting that she is seriously considering running for Senate and several Democratic sources believe she is close to announcing her statewide run. According to the Highground poll, Sinema would lead Sen. Flake in a hypothetical head-to-head contest, 40-32 percent. But, an incumbent in any poll barely breaking 30 percent when the statewide polling sample is the size one usually sees for a lone congressional district has to be viewed with a wary eye. Public Policy Polling completed their Arizona survey in early August (July 31-Aug. 1; 704 registered Arizona voters) and also found Sen. Flake lagging. Though they asked no head-to-head ballot test questions, Flake scored extremely low in his approval rating index. An elected official of either party tallying an upside down favorability rating in a PPP poll is nothing unusual, however. In fact, almost everyone scores in such a manner. The Flake numbers, however, exceed even some of the more unpopular previously tested elected officials. According to this PPP survey, his approval index is 18:63 percent positive to negative. His problem is exacerbated in that the polling segmentation crosstabs vary little. Perhaps the senator’s biggest problem is his standing within his own Republican Party. Here, his index is just 22:57 percent, which is of course a horrific intra-party total for an incumbent. Among Independents and Democrats, the numbers are even worse: 17:65 percent, and 15:67 percent, respectively. There is little difference in how women and men view Sen. Flake. Among women, his favorability is 18:60 percent; men: 18:65 percent. In segmenting by race, the pollsters divided the respondent universe into just three categories: Hispanics (15:49 percent), whites (19:65 percent), and others (21:71 percent). Though the PPP polls typically skew negative on the approval rating questions, the Flake numbers signal trouble well beyond any likely methodology flaw. Coupled with what can be reasonably drawn from the Highground survey, the clear conclusion is that Sen. Flake has major political problems and is even in danger of losing his re-nomination battle. This race will continue to attract attention, but it is clear that we are likely headed for both a highly competitive primary and general election campaign in the desert all through next year.